In today’s evolving corporate world, the roles of a competent supply chain leader extends to more than just having expertise on things such as warehousing equipment, shipping routes and fuel costs. The profile of a skilled and successful supply chain professional focuses on the overall organization and not just part of it. Strategic thinking, gathering business intelligence to make the best decisions or even building relationships with suppliers and stakeholders; supply chain leaders are expected to have a set of skills above and beyond knowledge of logistics. The key to an efficient supply chain is to make sure that the process runs as smoothly as possible. One needs to follow through each and every step of the process and make sure that things go efficiently. The responsibility to ensure the proper functioning of the supply chain process lies on leaders who need to possess all the vital qualities for such an important role. Though academic education in this field is essential, more skills and knowledge is acquired through professional experience. Additionally, an innovative training and development program enhances the competencies and further prepares the supply chain leader to handle complex challenges. For instance: nowadays modern and interactive training such as gamification and scenario-based training allow learners to experience real work situations which makes them ready to deal with similar circumstances in real time in their day-to-day job. Such training leads to a more agile supply chain. A recent survey showed that 97 percent of supply chain operators experience some type of challenge as they continue to move product to reach customer demands. This is why supply chain agility is needed. 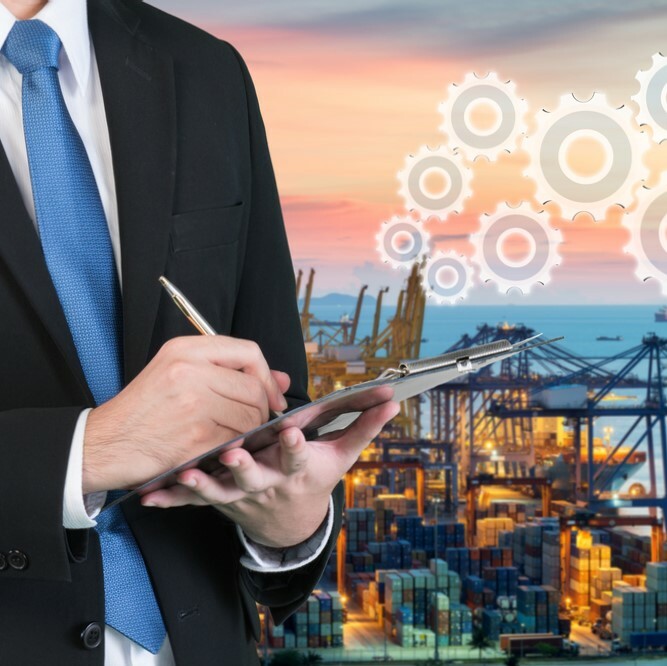 Agility in the supply chain acts as a source of sustainable competitive advantage and allows an organization to quickly adjust tactics and operations within its supply chain. For this to happen, leaders are the one who need to take action and develop the competencies needed. Supply chain leaders are now a critical part of the overall business. Therefore, they are required to understand how their entire business works, not just their part in it. Whether they have to discuss with the CEO in terms of ROI, or discussing cash flow with accounting, it is essential that these professionals see beyond the supply chain and see the business as a whole. Besides, having a global mindset will allow the leader to think about the supply chain from end-to-end, instead of the part the leader controls.It is more than just thinking geographically large. It is important for the supply chain leader to have a close working relationship with the CIO and ideally have no shortage of IT-savvy specialists on staff. The latter have to deal with the challenges of technology selection, implementation and application, and should be alert to the next-generation of technology tools, as well as being wise to the implementation challenges inherent in the complexity of today’s supply chain software solutions. – Negotiate successfully for resources, budgets, and schedules: The supply chain leader may sometimes be called upon to support project business cases, hence the need for negotiation skills. – Personal organization: vital for keeping track of numerous projects for which you are likely to be a sponsor and meeting your obligations toward them. -A proactive approach to risk management: When deciding if you’ll grant approval for requested projects, knowledge of risk management will help you to ask the right questions relating to project proposals and business cases. Supply chain professionals must exceed customer expectations and be able to deliver outstanding value. Very often, some customers are not aware what they want until your company exceeds their expectations. Supply chain professionals achieve this result by implementing an end-to-end value chain design, including customer segmentation, product and supply chain design, and optimization. Cultivating mutually beneficial connections with supply chain partnersrequires both an in-depth understanding of the business operations and an innate talent for relationship building. Supply chain executives must carefully nurture effective supplier relationships to ensure a sustainable business and operational model. Organizations will continue to face the demand for the most talented supply chain professionals. Acquiring, developing, and retaining the right talent is a significant element in building a world-class supply chain. Therefore, the five key competencies discussed above need to be taken into consideration. A talent plan is clearly an essential part of the strategy to drive supply chain excellence and profitability.